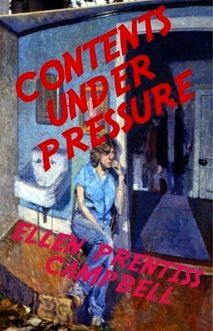 Ellen Prentiss Campbell is the author of the new story collection Contents Under Pressure. 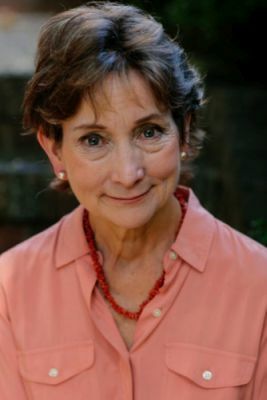 Her work has appeared in a variety of publications, including The American Literary Review and Southampton Review, and she lives in Washington, D.C., and Manns Choice, Pennsylvania. Q: Over how long a period did you write these stories, and how did you decide on the order they would appear in the collection? A: I started writing the stories, writing fiction seriously after years of hiatus, in 2002. What triggered me was a combination of events: 9/11, and how fleeting time and lives are, and my elderly parents died soon after 9/11. It was that triple reminder. I’ve loved my work as a psychotherapist listening to people, but at that moment it was time to tell my story. I started in 2002. I would get up early and write….Then I kept writing short stories, through 2006. My focus was very much on the stories. Then I stumbled on a historical incident that became the inspiration for a novel. I was simultaneously working on the novel and the stories. It worked well for me as a process. A story has its own self-contained arc—it’s very focused and meticulous. A novel is a big, all-encompassing endeavor. The novel is set in the same area in Pennsylvania [as many of the stories]. I entered a low-residency master’s [program] at Bennington. It was a good way for me to take my commitment to writing to a next step. I had good friends and mentors at The Writer’s Center and then I would go to the program two times a year and come back to Maryland and continue writing with one mentor by correspondence. I would write a story or chapter, and send it to my mentor. Bennington was perfect for me. From 2002 forward, I was sending stories to journals. At first, I was using snail mail. I remember one teacher saying you have to be resilient about rejection. Then the stories began to be accepted. It was affirming for me. Fourteen years on, I have a body of about 24 stories published in journals. You never know what’s going to lead to what…Around 2009 or 2010, [my husband] said, You loved doing reviews—you should be doing book reviews…I started reviewing for [The Washington Independent Review of Books and Fiction Writers Review]. I loved doing that. Because the sites had a wide readership, the editor/publisher of The Broadkill River Press started reading my reviews, and we became Facebook friends, and learned we were both alums of the same small Quaker school in Sandy Spring, Maryland. One of my story collections was the runner-up for a prize. When he saw that, he said, I’d like to see your story collection. I sent it to him and he absolutely loved it! It was a weird thing where you just never know what leads to what! That’s the collection I happened to enter for the prize. How I selected the particular stories and the order? It’s a good question. For me, that’s kind of an unconscious process. Just like a character or story will be there: You’ve got to write about me! It’s a way you shuffle the deck of cards that feels right. It was not a deeply conscious intentional process. Now that it’s done, I can identify thematic links. I think they also tie into my own process of development as a writer. The theme I’m recognizing—I think they are stories of transformation and change, or realization of a need for revising the primary character’s assumptions about the world. In this collection, all the characters are women. I write more of them from the women’s perspective. Q: Yes, I was going to ask you about the themes you see in your stories. Q: How did you come up with the idea for the story “Sea Change”? A: It’s not a completely conscious process. It’s not like I sat down to write that story. It’s unusual in tone and style—it’s more speculative. Most of the others are narrative realism. It wasn’t an intentional departure. It was inspired by several things. Partly it was inspired by my own experience of coming back to writing fiction after many years of not doing it—that I was doing exactly what I needed to be doing, and was exactly where I needed to be. It isn’t that I didn’t love my work as a social worker, but the feeling that I needed to do [the writing]. Elizabeth Bowen talks about that fish in water feeling—in our lives when something’s right, we have a fish in water feeling. For me, coming back to writing was the fish in water feeling…Writing fiction was a transformation, a return to who I am. From my earliest childhood I’ve been reading and writing. One of the inspirations—I’ve always loved reading and stories, but I do love Hans Christian Andersen’s fairy tales. "The Little Mermaid" fairy tale is very much a part of the inspiration for the story. The mermaid yearns to become a person, and the pain of that choice, and that’s sort of the reverse [in "Sea Change"]. And then it was just fun! A: When I came up with that title, who knew there were other books with the title, including a plumbing repair book! "Contents Under Pressure" is actually me—that feeling of having so much inside that must be expressed, and there is a certain kind of tension associated with that that’s part of the creative process. "Contents Under Pressure" is partly my intense state—and then it seemed like the right title in terms of the thematic links, the individuals in the stories. There’s interior tension and sometimes interpersonal tension and conflict…I think it just felt like the right title. Different collections at different times had different titles. I’m not sorry it’s the title—it does sum up my feelings as an author and an overarching connection among all the characters in the stories. Q: You’ve mentioned your novel that’s coming out this spring—what more can you tell us about it? A: The novel is very much set in a particular place and time. It’s inspired by an actual chapter in the long history of the Bedford Springs Resort in Bedford, Pennsylvania. It really intrigued me. The State Department in 1945 selected it as a detainment center for the Japanese ambassador to Germany, an infamous guy—he and his staff and their families were all captured when Berlin fell, and the State Department sent them to the hotel. It was close to D.C., easy to secure, isolated, empty. They arrived mid-summer of 1945. The State Department convinced the reluctant local people. The intent was that since these were high-level people, they were going to be trading pieces for American POWs. Then August 1945 happened, and the idea of trading prisoners was no longer relevant. Bedford County was the last place I would expect to have this world event, and the idea of very different populations encountering each other—the local people working at the hotel, and the prisoners—I felt I had to find out more about it. I took off from there. A: I actually have two novels in progress right now. I love writing in both forms [stories and novels], but I do love how expansive and roomy a novel is. One novel in progress is about a former psychiatric hospital, Chestnut Lodge, in Rockville. I get fascinated by places!